The Tennessee Immigrant and Refugee Rights Coalition (TIRRC) will convene its 4th Annual Statewide Convention and Cultural Celebration this Saturday, November 4, 2006. TIRRC consists of dozens of organizations and hundreds of individuals statewide whose common goals include advocacy for the rights of all immigrants and refugees and their families. For more information, see the invitation below or at TIRRC's web site here. Immigrant and refugee access to: education, immigration, healthcare, transportation, justice, labor rights, civil rights and civil liberties Are these issues important to you? If so, then please join us at TIRRC's third annual membership convention. Don't miss this unique opportunity to choose the issues our statewide coalition of immigrants, refugees and allies will focus on in 2007. Join us as we design strategies to advance the priority issues identified, while also creating a unified plan to counter the alarming growth of anti-immigrant/refugee sentiment in our state. In 2007 immigrants and refugees in Tennessee face greater threats than ever before. Don't sit on the sidelines. Get involved! Also, don't miss our Cultural Celebration, which will immediately follow the Convention. Celebrate Tennessee's growing cultural diversity by enjoying food, music and dance from around the world! Come & Share Your Culture! The Tennessean published this story today explaining the concept of the Latin American "Day of the Dead" holiday. "A main staple of the holiday is pan de muerto, or bread of the dead, which is placed on altars and later broken at the table when the family eats. At Aurora Bakery on Nolensville Road, you can find the traditional Mexican pastry in three sizes, the largest of which is nearly a foot across." "[Owner Patricia] Paiva, who hails from Sri Lanka, considers Aurora to be an international bakery that specializes in Mexican pastries. The business opened seven years ago." "Aurora sold about 400 loaves last year and expects to sell more this season." "'More and more non-Latinos are celebrating it,' Paiva said. 'I think it's becoming a little more universal. A lot of the non-Latinos are fascinated with it.'" Cheekwood's El Dia de Los Muertos — 11 a.m.-5:30 p.m. Saturday at Cheekwood Botanical Garden & Museum of Art, 1200 Forrest Park Drive. $1 admission for adults and children. Features live performances and music, bilingual tours, a Mexican marketplace, interactive art activities and community altars. 356-8000. Day of the Dead community art workshop — Saturday, 1-4 p.m. at Plowhaus Artists' Co-op, 211 S. 17th St. Participants will learn about traditional Day of the Dead altars and build one themselves. Cost is $20 to participate. Limited to 10 people. E-mail Erika Johnson at bluegreenchair@gmail.com to reserve your space. The co-op will also have a Day of the Dead art exhibit Saturday through Nov. 5. Call 262-2224 or visit www.plowhaus.org for more info. If you know of an event that should be listed in the Datebook, or if you are computer-savvy and want to help keep the Datebook current, pleas contact the editor. The web site "Coyote Chronicles" has been around since at least January of this year, but in the past few months its Nashville-based Hispanic writer has picked up the frequency of his posts and has also taken his readers beyond mere commentary. In recent weeks, the Chronicles followed the author as he traveled to Charlotte, North Carolina to learn more about a pilot program that Nashville wants to use as a model to align local police more closely with federal immigration officials, and also followed his participation in (if not coordination of) the Tennessee outreach to a Kentucky family who was targeted with a burning cross accompanied by a misspelled sign attempting to bid them "Adios." After she arrived at the Metro General Sessions traffic court for driving without a license, Claudia Nunez was jailed and told she would be deported for an immigration violation, according to this report in the Nashville Scene two weeks ago. At the time of the story in the Scene, Nunez had already spent two weeks in jail, separated from her husband and her two daughters, 4 and 8, one of whom is developmentally disabled. Nunez's presence in the U.S. is not authorized by the federal government, but it's not because she is a danger to anyone around her or because she has committed a crime. It's because after she entered the country legally over five years ago, she stayed past her visa date. Staying past one's visa date is not a crime; it is a civil matter under federal law. The massive immigrant marches in the spring of this year (including one in Nashville) were sparked in part by a House bill to change federal law so that current civil immigration infractions would become not only crimes but felony crimes (all part of the recent wave of immigration-related changes in various laws, including this 2004 Tennessee law and this 2006 executive decision, the likely reasons Ms. Nunez doesn't have a drivers license). The felony criminalization proposal has not been made into law, so Ms. Nunez is still not in criminal violation of any immigration statute. Still, she was jailed for the purpose of being deported - expelled by force. Federal officials disagree with the way Nashville is treating people like Ms. Nunez. By seizing Ms. Nunez and people like her, Nashville implements a policy that stands in contrast to ICE's view that resources should be prioritized in a manner to best address the greatest threats to the community. Even so, the Metro Police Department is currently asking for greater integration with ICE databases and personnel so that all foreign citizens in Davidson County without immigration authorization will be jailed and deported (story here). "Many will applaud Metro’s strict policy for its absolute and indiscriminate punishment of any and all undocumented lawbreakers, but attorneys say that, as of now, what’s happening is actually tragically arbitrary. As hysteria over an imagined alien scourge mounts, stoked by politicians and talk radio pundits, the media spotlight has been trained on anecdotal examples of undocumented workers committing serious crimes. Jose Reyes and 'The Closet Killer' have become shorthand for what is wrong with the way officials have handled the immigration issue." "Meanwhile, Claudia Nuñez remains in hell. She weeps as she tells of family visits when she can’t hold her daughters because of the bulletproof glass between them. The guards won’t let her buy anything from the prison commissary. When she asks why, they tell her, 'INS won’t let you have that.'" "As a result, she’s had to rely on the kindness of other prisoners, borrowing clean socks and even underwear." "Nuñez says that the prisoners have taken pity on her. 'They say to me, we know why we’re here, we did bad things,' she says. 'We don’t understand why you’re in here.'" Update October 29, 2006: WKRN Channel 2 reports here that Nunez has been released from jail but is still awaiting possible deportation. The video report includes more information about the family's dilemma. update 6/11/07: A similar modest proposal: "Executing illegal immigrants would have a significantly more positive impact on the American economy than deporting them or putting them on a path to citizenship." According to last week's "The Fabricator" column in the Nashville Scene, a Metro Councilman has introduced a bill requiring foreign-citizen immigrants to wear some kind of external identification to help distinguish them from U.S. citizens. Among the proposed identification marks are a Scarlet "A" for "alien," a pink triangle, or a yellow star. The report, as its "Fabricator" name suggests, is fake. But when ordinary Americans, Metro Council members, and government officials across Tennessee are in a combined rush to ban, burn, or blow away anything related to immigrants (banning taco carts, banning foreign languages, burning crosses, and building pipe bombs), the satire poigniantly asks where these actions will take us. During the Cold War, another dangerous trajectory was highlighted by the Board of Directors of the Bulletin of the Atomic Scientists. 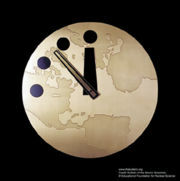 In their desire to highlight the march of the human race toward destruction by nuclear war, they created the Doomsday Clock, which represented how close we were to nuclear war, represented by midnight. They published the clock on the cover of their magazine and moved it forward or backward based on world events and whether we were moving ourselves closer to or further from the darkest hour. Maybe the U.S. has reached the point where we need images like the Scarlet Taco and the Doomsday Clock to remind us of our dangerous trajectory in how we treat immigrants. If there were a Doomsday Clock for immigrants, what time would we set it at now? What other ominously dangerous treatments of immigrants are already in practice that I didn't mention above? What are some of the proposals that, if put into action, would move the clock forward? How far from midnight would we be with immigrant internment camps? Mass deportations? Denying legal immigrants drivers licenses? Banning Hispanics from city parks? Freddy Fender gone; who to follow? 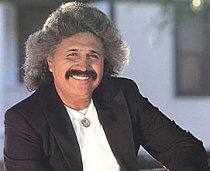 Fans worldwide mourned the October 14 passing of musician Freddy Fender, after his arduous struggle with lung cancer. He leaves a legacy of genre-busting chart-toppers including "Before the Next Teardrop Falls," a bilingual hit on both country and pop radio. In a press release, Recording Academy Presidident Niel Portnow said, "As one of the few Hispanic stars in country music, Freddy Fender broke down barriers through his song writing, his guitar playing and his passion for creating and performing music. Fender approached his work in country and rockabilly with a Latin sensibility that made him a unique talent. Our sympathy goes out to his family, his friends and to the millions of fans who always will remember the indelible mark he has made on our culture." Fender's success in country music has been nearly impossible for Hispanic artists to duplicate. Especially in the last few years, country music industry experts have bemoaned the lack of modern Hispanic superstar power (see 2005 story here and 2006 story here). Hispanic country music singers have made their mark in the Nashville-based country music TV competition "Nashville Star," (story here), but this season's industry awards shows reveal that the missing Hispanic superstars are still missing. Last night, the 2006 ASCAP Country Music Awards at Ryman Auditorium named no Hispanic winners. The nominees for the 40th annual CMA Awards include no Hispanic artists. And there are no country artists among the nominees for the 7th Annual Latin Grammys. There is not even a country music category at the Latin Grammys, unless you include the "Ranchero" style of Mexican music, which often features cowboy hats. At a time when politics are putting Hispanics on the defensive, Hispanic entertainers are offering hope and diversion to the nation's biggest minority. Although there can be only one Freddy Fender, aspiring country music stars might take a note from Fender's bright smile, humor, and passion for music in their quest for center stage. According to this article in the Tennessean, a new promotion system in the Metro Police Department is leading to greater diversity in the higher ranks. "Two men became the first black officers promoted to lieutenant in eight years, under a new system some minority officers hoped would improve diversity in the Metro Police Department's upper ranks." "Although there are minority officers serving in higher ranks, none had been promoted from sergeant to lieutenant in the past eight years, according to department records. The policy change allowed Chief Ronal Serpas to pick from a band of seven top-scoring candidates. Instead of strictly following test-score rankings to fill 11 open slots, he examined each candidate's work history and sought input from all the department's deputy chiefs and captains about their work in the field, Metro police spokesman Don Aaron said." The popular Latin American family celebration, El Dia de los Muertos, will be held at Cheekwood on Saturday, October 28 with activities including live performances, a Mexican marketplace, and interactive art activities for everyone. Now in its seventh year at Cheekwood, the day-long celebration is a premiere community event for Nashville's Hispanic population as well as for families throughout the area. Translated as "Day of the Dead," El Dia de los Muertos is a uniquely Latin celebration of families as they honor their ancestors. The festivities, from 11:00 am to 5:30 pm, include activities for families of all cultures to learn about this noted Latin-American tradition and participate in a wide range of activities conducted in both Spanish and English. The schedule includes live performances by Mariachis Alma de Mexico, Serenatta, Danny Salazar y los Cuatro, Grupo Folklorico Hispanoamericano, and Sixto Reyes & Miguel. Storytelling time features an event favorite performer, "Grandma Irene." Art projects include making painting gourds, decorating "the family tree," making paper marigolds, crafting family journals, a "tombstone factory," creating paper cut-outs, and Spanish Bingo. A unique feature this year, Cheekwood will showcase a contemporary Spanish-speaking film, "A Piece of Earth," by filmmaker Jorge Gaggero in collaboration with the Nashville Film Festival. Available in the Mexican Marketplace will be traditional food, sweets, and arts and crafts. Community altars will be displayed in Botanic Hall and there will be bilingual tours of Cheekwood's Museum of Art given by Belmont University Spanish students. An HCA/TriStar community day, admission is just $1 for adults and children. This event is sponsored in part by The Memorial Foundation which makes available complimentary passes to those in need. The Nashville Scene published this announcement of Nola, a restaurant opening this month in the old Vandyland strip on West End. Owner Alexia Cabrera is from Uruguay, which borders Argentina and Brazil in South America. "The Nola menu will lean heavily toward Cajun tastes, thanks to Cabrera's time at Patrick's, but she will also introduce locals to some Uruguayan and other South American specialties." 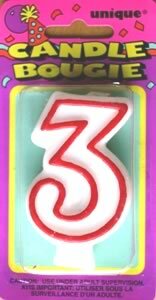 "Nola will serve from 10 a.m. to 10 p.m. Monday through Saturday at 2914 West End Ave. Phone: 341-3693 or 341-3694"
Two Spanish-language conversation clubs are regularly meeting in Nashville. One is Charlemos Spanish, organized by Sister Cities of Nashville. Charlemos Spanish meets twice a month on Thursdays. Their next event on October 26 will feature native Argentinean Jose Amden, who will discuss marketing (announcement below). José Amden will speak, in Spanish, on international marketing at Charlemos Spanish, Thursday 26 October. Charlemos meets the second and fourth Thursday of the month from 7:00 p.m. to 8:30 p.m. at Palette Gallery and Cafe at 2119 Belcourt Avenue in Hillsboro Village. The event is free and open to the public. José Amden is originally from Argentina, and moved to the US six years ago. He earned an MBA in Marketing and Finance from Vanderbilt University. José is a management consultant who specializes in helping companies with their sales and marketing efforts. "I will explain Marketing fundamentals for business, and discuss how they affect marketing initiatives in different countries" said José. Charlemos Spanish is a social conversation group created in December 2006 by the Spanish Committee of Sister Cities of Nashville, a nonprofit organization, founded in 1990, dedicated to the promotion of global understanding through educational, professional and cultural exchanges. Mayor Bill Purcell is the Honorary Chair for Sister Cities of Nashville. "For many months now I have been following the news on hispanicnashville.com and I find it the most elaborate resource of information in English concerning the Hispanic community in Nashville and in the US. Truly a great website." "John Lamb maintains an excellent web site relating to all the latest news concerning Hispanics in TN (and beyond). John does an amazing job compiling all the latest news items." "I was glad to run into your page while surfing the net. I would not know where else could anyone get a comprehensive view of the affairs of our emergent Hispanic community. With HispanicNashville, you have helped all of us latinos cross the language barrier." "Today I had the pleasure of reading the Hispanic Nashville Notebook and I found it most informative and fun." "I want to let you know how much I enjoy Hispanic Nashville Notebook. I work in education PR, and your blog has been invaluable in my efforts to keep up with what's happening in Tennessee's Hispanic community regarding education." "I love the site. I'm very impressed with how you incorporate social media and graphics--that's really tapping in to how people get their information these days. But more importantly, Hispanic Nashville gives a voice to a community that too often goes unheard." "Misinformation about the Hispanic community is a relevant problem in the US, particularly in Nashville; and you’re definitely addressing this issue. I just wanted to thank you for the effort you put in this site and encourage you to keep doing it." "I just wanted to send you a brief e-mail to thank you for the Hispanic Nashville Notebook website. I recently moved to Nashville and it is your website that has given me a path to connect with Hispanics happenings in the area. I look at it every day!! ...I just wanted you to know that you are making a difference!" "I've enjoyed Hispanic Nashville for several years - what a contribution you are making." "Thanks so much for your outstanding service to the community." "This is a great website. Thank you very much for sharing it with me." "Mr. Lamb, thank you for all you are doing for the Latino community in and around Nashville." "Thanks for all you do for the Latino community. Your heart is definite in the right place." "Your contribution to the Nashville community through HispanicNashville.com is invaluable." "What you are doing is significant and I am grateful." "Keep up the good work with all that you do!" "John Lamb is a hero of mine." "Thanks for making such a great resource available to all of us." Photo by rougerouge. Licensed under Creative Commons. The Hispanic Nashville Notebook celebrates its three-year anniversary on October 21, 2006. Over the course of three years, the Hispanic community in Nashville has flourished, with the birth of a number of new Hispanic organizations - including a new Chamber of Commerce, a Health Coalition, a Real Estate Professionals group, two Spanish conversation clubs, a PAC and a Hispanic Democrats group, and an Argentine Tango club, to name only a few. Furthermore, Hispanic individuals have attained positions of leadership in the community, including the elected position of President of the Nashville Bar Association. From families with deep roots in the U.S. to newly naturalized citizens, Hispanics in Nashville have had a lot for the English-speaking media to report. The Hispanic Nashville Notebook has highlighted those stories and collected many of them in one place - here, at HispanicNashville.com. Some themes have repeated themselves over the past three years. Among the stories published on the Hispanic Nashville Notebook's first day in 2003 were "Memphis Muslim leader Dr. Nabil Bayakly's immigration deportation hearing is Monday, October 27, in Memphis," "Samuel Francis laments mass immigration and blames it for forcing whites out of communities," and "Conexion Americas wins Best New Entrepreneurial Venture in Nashville Scene's Best of Nashville 2003 awards" (all available here). We still have stories of heartbreaking deportation threats (story of Claudia Nunez, here), Conexion Americas winning another Best of Nashville mention (story here), and the tragic pitting of whites against immigrants and Hispanics (story here). As we become the "truly diverse city" that Reginald Stuart prophesied of Nashville in 2000 in Nashville, an American Self-Portrait, we must continue to ask ourselves, "Can we do it right?" The answer so far is that Hispanics in Nashville are facing their opportunities and struggles with a sense of dignity and a spirit of community. That is the story of the past three years. "For many months now I have been following the news on hispanicnashville.com and I find it the most elaborate resource of information in English concerning Hispanic community in Nashville and in the US. Truly a great website." New Latino Immigration to Tennessee: What’s Law Got to Do with It? Los pueblos indigenas y su tipo de inclusion en y por el Estado guatemalteco"
Tommy Vallejos of Clarksville's Hispanic Organization for Progress & Education (HOPE) invites Nashville to attend the Third Hispanic Festival of Clarksville. 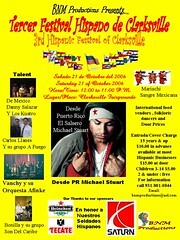 The celebration will be held this Satuday, October 21, 2006, from 12pm to 11pm at the Clarksville Fairgrounds. Vallejos' invitation is below; click on the bilingual flyer for more information. I am calling for support of the Hispanic community to come down to Clarksville and link up with us in ending Hispanic Heritage Month with a bang. We will have numerous musical acts in support of the Headliner, Michael Stuart. We are expecting groups of Latinos from Indiana, Ky and all of Tennessee to come out and join us in time of unity. There will be hundreds of Hispanic soldiers just recently returned from Iraq joining in the celebration. Print out the flyer and spread the word. There is a number on the flyer for more information. Nashville come on down and support our community and meet new faces. Update October 22, 2006: This Clarksville Leaf-Chronicle article describes the Unity celebration held Friday night before the Hispanic Festival. Vanderbilt University issued this press release announcing that the U.S. Department of Education has awarded a $1.5 million federal grant to the university's Center for Latin American and Iberian Studies (CLAIS) and that along with the grant, the CLAIS has been designated a stand-alone National Resource Center. The purpose of the grant and the designation is to assist faculty and students working in Latin America as well as to expand an outreach program for local public schools and the Nashville community. The National Resource Center is the highest recognition the Department of Education can award such a program. Vanderbilt was one of the first universities in the United States to start a program of research and teaching in Latin American studies. The grant includes financial support for graduate students in the form of tuition and stipends as well as funding for expansion of Latin American library holdings. “As a designated National Resource Center, the Center for Latin American and Iberian Studies addresses three of the university’s key missions,” said Richard McCarty, dean of the College of Arts and Science. “These goals are improving graduate education, becoming a more global university and working in partnership with the Nashville community,” he said. The center’s graduate program promotes greater understanding of Latin America’s history, culture, political economy and social organization. While the center began in 1947 as an Institute for Brazilian Studies, it has since expanded its areas of expertise to include Maya anthropology and archaeology; the study of democracy building and economic development; Latin American literature and languages; and African populations in Latin America and the Caribbean. Fischer also said that the center will work with Vanderbilt’s Owen Graduate School of Management, the Medical School and Law School to develop cultural competency seminars for professionals and strengthen ties with the School of Engineering. In addition, the center will build links to Fisk University and other area colleges and universities to assist them in building their Latin American offerings. It will continue to sponsor conferences, films and speaker series that bring distinguished scholars, government and business leaders and social activists to campus. The Center for Latin American and Iberian Studies works closely with Vanderbilt’s Center for the Americas, which brings together scholars from a variety of disciplines to study the cultural, economic and political interactions among the various countries of the Western Hemisphere as well as between the region and other parts of the world. The grant, which is Title VI funding, will be awarded over the next four years. More information is available at http://sitemason.vanderbilt.edu/clais. "Marketing ideas that transcend cultural borders"
The Nashville Business Journal reports in this story that minority-owned advertising agency The True Agency has opened an office in Nashville to establish a presence near its client Nissan USA, which recently relocated its headquarters here. "The Nashville location will be lead by Robert Fitzpatrick, a Tennessee native who joins the agency with 20 years of auto and advertising experience. The agency plans to service Nissan and seek outside business from its Nashville location, the agency's third office in addition to Los Angeles and New York." powerful marketing ideas that transcend cultural borders." When five events appear on the calendar, it's a busy day in Hispanic Nashville. For more details, see the Hispanic Nashville Datebook. Update October 18, 2006: Here are the Tennessean's story and Nashville City Paper's story on the Council's decisions on the three immigration bills, and here is the Nashville City Paper's story on the immigration forum. Vanderbilt University issued this press release announcing the publication of Broccoli & Desire, a anthropological and economic study that focuses on the journey of broccoli from Maya farmers in Guatemala to dinner tables in Nashville. The book has been added to the Hispanic Nashville Bookshelf, a collection of books, movies, and music with a connection to Hispanic Nashville. Have you considered how many hands it took to get the broccoli you just purchased from the field to your table? Did you know that it quite possibly came from Guatemala? Did you ever consider that someone grew that broccoli for you so they could send their kids to a better school? Anthropologists Edward Fischer and Peter Benson answer these questions and more in their new book, Broccoli & Desire, tracing the complex connections between the hopes and dreams of Maya farmers in Guatemala and the health and dietary choices made by shoppers in Nashville, Tenn.
Fischer studies cultural anthropology and political economy, with a focus on the Maya of highland Guatemala. While conducting his research there, he noticed that poor Maya farmers had started to grow new specialty crops such as broccoli, cauliflower and snow peas for export. Fischer found that there are now hundreds to thousands of these farmers growing broccoli for export to the United States. He decided to follow the broccoli on its journey from field to grocery store, interviewing farmers, importers in Miami, Fla., and consumers in Nashville. He found that despite the obvious differences between the farmers and consumers, they were bound by a common driver: desire. “Consumers in Nashville and across the United States have a desire to eat healthy foods and live well. These desires are constantly present in popular discourse about living the good life,” Fischer said. In the book, Fischer and Benson explore moral, sociological and historical issues surrounding the economic connection between these two groups and its roots in the victimization of the Maya people throughout history. Through profiles of individual farmers and consumers, they illustrate the stark differences between how the groups attempt to satisfy their own desires for a better life and the vastly higher level of risk the Maya must assume to do so. One such profile involves a farmer named Pablo, a married, 39-year-old Kaqchikel Maya farmer. Broccoli & Desire has been published by Stanford University Press. More information is available on the press Web site, http://www.sup.org. Peter Benson is a graduate student in the Harvard University Department of Anthropology and a former student of Fischer’s. The Tennessean, Conexion Americas, and Latin Market Communications have recently debuted classified ad services for jobs requiring bilingual skills or other jobs to be advertised in both Spanish and English. The Tennessean is publishing a free bilingual classifieds section that distributes throughout Middle Tennessee and especially to concentrated Hispanic areas (contact Daniel Warren at 615-726-8961). Conexion Americas has created a new section of its web site to allow employers to post their company profile and current job openings, free of charge (contact Maria Clara Mejia at mariaclara@conamericas.com). Latin Market Communications is sending out an e-mail once a month with a list of bilingual jobs (contact Eva Melo at eva@latinmarketcommunications.com or 615-599-0045). Nashville non-profit Conexion Americas is featured in the Nashville Scene's 2006 "Best of Nashville" issue, under a prize titled, "Best Mobile Tacqueria Sighting: Belle Meade Boulevard, Driveway of Hope and Cal Turner." The one-paragraph blurb describes Conexion's summer celebration called "Sabor," which raised funds for projects such as Hispanic entrepreneur education. The reason for the mention in the Scene was the appearance in upscale Belle Meade of two of Nashville's mobile taco carts, which are most prevalent here in neighborhoods other than Belle Meade, and recently the subject of proposed bans by the Metro Council. Conexion hosts a fall fundraiser tonight at Cheekwood. Details below. Nashville's annual Hispanic Heritage Celebration, featuring Latin American food, music and dance, will be held this Friday, October 13, 2006 at 7:00 p.m. at Cheekwood. The event benefits Conexion Americas, whose mission is to promote the integration of Hispanic families into the community. Tickets are $30 per person, or $300 for an "Amigo" package, $150 of which is tax-deductible. Click on the invitation for more details. On October 17, Scarritt-Bennett will host an educational forum titled, "Immigration: Making Sense of the Debate." The forum is sponsored by 19 local organizations and will be centered on a constructive, serious conversation on immigration and on the positive steps that the community can take to tackle the challenges associated with it. For more information, click on the flyer. national debate about immigration and issues connected to it. debated issues of the day. Here’s the scoop. opportunity for questions and commentary will be allotted. Sister Cities of Nashville’s Spanish chat group, Charlemos Spanish, announces its speaker for the remainder of 2006. Charlemos meets the second and fourth Thursday of the month from 7:00 p.m. to 8:30 p.m. at Palette Gallery and Cafe at 2119 Belcourt Avenue in Hillsboro Village. The event is free and open to the public. Palette owner Pilar Arrieta is merging the Spanish conversation group that she founded in her home with Charlemos. Her husband and co-owner of Palette, Jorge Arrieta Yances, is the featured artist in the gallery. Charlemos Spanish is a social conversation group for adults created in December 2006 by the Spanish Committee of Sister Cities of Nashville, a nonprofit organization, founded in 1990, dedicated to the promotion of global understanding through educational, professional and cultural exchanges. Mayor Bill Purcell is the Honorary Chair for Sister Cities of Nashville. * Learn more about Hispanic culture. * Elizabeth Worrell Braswell, online Spanish instructor for Austin Peay State University. This season's campaign ads on immigration - even those of supposed friends of Hispanics - are filled with either frustrating words or disappointing sentiments or both, due to the weaponization of the immigration debate. Witness the use of the word "illegals" as a noun and the call for public services to be delivered only to those who "deserve" them. Is there a major candidate campaigning on the airwaves for a new direction in the dialogue about immigration, one that stands up for people if for no other reason than that they are people? There have undoubtedly been public servants with positive, constructive involvement with this issue at every level of government, and those efforts are very much appreciated, but has that tone carried over into the candidates' media buys? It seems not. My question to a group of friends was, how would you advise a candidate who enlisted you to help craft the perfect campaign ad (or part of an ad) in this weaponized immigration debate? The goal was not necessarily to find the catchiest slogan or the most politically savvy balancing act. It was simply to answer this question: what needs to be said? Responses came in, and they inspired these images. There are no faces or real names in the pictures, because these ads are not for real candidates. They are simply figments of our collective imagination. Update October 17, 2006: WKRN aired this report on the ads. Attitudes towards immigrants not improved by politically correct terminology. A majority (52%) think immigration is a good thing, but 53% also want to reduce levels. In an experiment, fully 60% think 'illegal' immigrants make life worse, while another 58% say 'undocumented' immigrants make life worse." Education is the best predictor of thinking immigration is generally a good thing, ranging from 67% for those with college degrees or better to 52% for those with some college or trade school and just 36% of those with high school educations or less. Job competition might explain this finding to some degree. Health care continues to be Tennessee's No. 1 problem, named by 19%. Health care emerged as the No. 1 problem in spring 2004. Education, crime, and the economy follow. For detailed findings and sampling breakdowns of the Fall 2006 MTSU Poll, visit www.mtsusurveygroup.org. WKRN ran this story about the poll, its findings related to immigrants, and what it means for immigration to have less perceived priority in comparison to health care, education, crime and the economy. "[N]either race, citizenship nor language can be an obstacle to justice." "Encouraging immigrants to learn English needs to be a priority. But so, too, does ensuring that in reaching for perfection we do not trample on what is good." The Tennessean published this article about Saturday's Celebration of Cultures, which featured international food, merchandise, and cultural demonstrations and drew a crowd of approximately 10,000. The event was held in Centennial Park, which hosted the Tennessee Centennial and International Exposition in 1897. That exposition featured various cultures and their performing arts, including Cuba, Egypt, China, Spain and Holland. Photo: The Cuban Village at the original Exposition at Centennial Park in Nashville, Tennessee; from an educational panel in the park. Photo taken during the Walk as One, before the Celebration of Cultures. See this and other Hispanic Nashville photos in the Hispanic Nashville Scrapbook group at Flickr.com. You can view everyone's photos or join and submit your own. The Tennessean reports in this article that 1.1% of eligible Tennessee voters are Hispanic. The total individual number is 46,000. The story is accompanied by this map that breaks the numbers into state congressional districts. The representation of Hispanic voters in various districts ranges from 0.6% in Chattanooga's 3rd Congressional District to 1.8% in Nashville's 5th Congressional District. Hispanics have not exercised much political clout despite expectations to the contrary in past elections, but the article points out that small numbers of voters can tip the scales in local elections and close races. The Nashville City Paper reports in this article on the ongoing mock refugee camp set up in Centennial Park by Doctors without Borders. The event runs through this weekend and includes "landmines, covered latrines and a makeshift pharmacy." "The traveling shantytown is in Nashville on the last leg of its tour of cities, an effort to raise awareness of the globe’s 33 million refugees and to build support for Doctors Without Borders/Medecins Sans Frontieres (MSF)." "Carol Etherington, assistant professor of nursing at Vanderbilt University and MSF aid worker, said the event also targets the Nashville health care market for skilled volunteers interested in practicing medicine in war-torn regions." "Current estimates count more than 9,000 political refugees from 40 countries living in the Nashville area." The official press release is here, and there is a Rocketboom video report of the same exhibit in Brooklyn here. 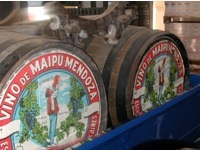 Sister Cities of Nashville announced a wine-tasting fundraiser Friday night, October 6 (update: this event has been postponed to January 2007), to support the new relationship with Mendoza, Argentina. The event will be held at the Palette Art Gallery 'N' Cafe, which was recently featured in this article in the Tennessean. Join Sister Cities of Nashville (SCN) on Friday, October 6, from 7 to 9 pm, for a fundraiser to benefit an end of year trip to Mendoza, Argentina, to promote Nashville as a Sister City and to develop relationships for initiatives such as student exchange, art connections and marketing of wine. The event will take place at the recently opened 'The Palette Art Gallery 'n' Café', 2119 Belcourt Ave., Nashville, TN 37212. SCN is an active volunteer organization connecting Nashvillians with friends around the world through cultural exchange and community partnership. Plans are in the works to send a group of high schoolers to Mendoza next summer, and this fundraiser will help fund part of the expenses for these students. Men's Health Magazine ranks Nashville as the fifth angriest city in the nation. The only other Tennessee city in the Top 100 is Memphis at #8. There is no guess as to cause, or whether a contributing factor could be the weaponization of immigration (story here) and an increase in violent rhetoric in the Music City (story here). It remains to be seen whether this mention of Nashville among the "angriest" cities will have any effect on the national rankings that have recently flattered Nashville, such as being named by Kiplinger Magazine as the #1 city in its national list of "Smart Cities," and Expansion Management's #1 ranking of Music City in its "America's 50 Hottest Cities" rankings for two straight years. The Kiplinger Magazine report specifically cited Nashville's Southern hospitality as an attraction to people from across the nation. Illegalized foreigners in Tennessee: 100,000 to 150,000; how many sanctioned employers? The Tennessean reports in this article (about a new state labor law) that there were 100,000 to 150,000 illegalized foreign citizens living in Tennessee last year, according to the Pew Hispanic Center. Consider that out of an estimated state population of 5,962,959 in 2005, this means that anywhere from one to three percent of all people living in Tennessee are now deemed "illegal" - with little hope of ever fully integrating into U.S. society, despite the fact that many have been living here for years and will continue to do so. The Pew Hispanic Center report states that over 70% of all illegalized foreign citizens are from Latin America, many of whom are Hispanic (Brazil accounts for approximately 50% of Latin America's population and its citizens are not considered Hispanic). Asian citizens account for 13%, and European and Canadian citizens combine for a total of 6%. In regard to the new state and local laws (a similar employer-enforcement bill has been proposed in Clarksville and was reported in this article in the Tennessean), they would at best shift only slightly the current imbalance of immigration enforcement against workers only. Workers are usually the only ones sanctioned for immigration violations - if not by deportation, by simple civic exclusion. It remains to be seen whether any real setbacks will be suffered by Tennessee employers under these new laws, but it seems as if governmental inaction will continue to have a negative effect on employees and no detrimental effect on employers. Federal law has long prohibited the hiring of illegalized foreign citizens or even legal immigrants without work permits, but enforcement has been lax. A thought for Tennessee's lawmakers, both state and federal: keep shifting the balance to make repercussions from the immigration system felt equally among employers and employees. A thought for the executive branch in Tennessee and D.C.: enforce the laws to the letter until we Americans feel how harsh our immigration system is. As commentator Sean Brainsted said in a different context here, "The more that rich and powerful people are held accountable to the same laws that poorer people are, the more likely we are to get rid of ridiculous laws." And a thought for Tennesseans: Don't hold your breath for stepped-up enforcement of immigration laws against Americans. Stand up for your neighbor now, even if you don't feel the heat of our current immigration system. Even with the new laws, it's not likely you ever will.